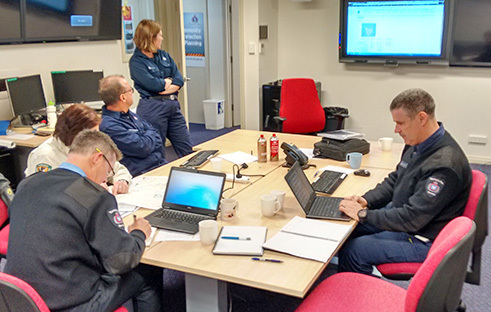 The Fuel Reduction Unit has been established within the Tasmania Fire Service (TFS) and coordinates the Fuel Reduction Program in accordance with a business plan and framework that is endorsed by the program Steering Committee. The Fuel Reduction Program takes both a multi-tenure and multi-agency approach with the key partners in the program being the TFS, Parks and Wildlife Service and Sustainable Timber Tasmania. A number of other key stakeholders, from local councils to private landowners are also involved in the implementation of the program. Funding for the Fuel Reduction Program is provided the Tasmanian Government and is administered through the Steering Committee, Chaired by the Secretary of DPIPWE.